I know what you are thinking. Not another blog post about customer experience. If you are in the marketing world you have been hearing this term over and over again for the past few years and are probably sick of it. For those not in the sales and marketing fields and are wondering what am I talking about here is a brief overview of why this term has been so hot recently. Customer Experience is what is replacing the importance of customer service. If you are reading this blog you are well aware that I am have an insurance agency and we sell insurance. As much as this topic pertains to the insurance industry as a hole it certainly fits in any industry. The answer is no, because you expect it. You expect that the wait staff or bartenders to provide excellent service. Because buyers in the 21st century expect to get amazing customer service no matter what they are buying and no matter who they are buying it from. No one cares any more if you marketing slogan is we give great customer service and if that is your slogan it is time to change it. Wow that was amazing. What a great atmosphere, food came out fast and was cooked to perfection, the wait staff was on top of their game. I can’t wait to go eat there again. The restaurant just created an excellent customer experience, the kind that is going to not only bring you back but get you telling others about the experience you had. Customer service is more general and usually happens when someone is answering a question or a problem for you. If the question or problem are taken care of in a quick and pleasant manner, we relate that to good customer service. Buyers obviously want good customer service and I am not saying it isn’t important but they automatically expect it and truthfully shouldn’t they? Hopefully by now you are starting to see the correlation between the restaurant example and how it not only ties into my business as an insurance agency owner but also any other business as well. Bad Customer Experience vs Good Customer Experience. Here is the main reason for this blog post. Two things happened this past week nationally that give excellent examples of customer experience, one good and one bad. Even though most people like to start out with the good, I am going to jump right into the bad. Unless you live under a rock or still hibernating from the winter here in Central New York, you are completely aware of what just happened with a United Airlines and the experience as a national just went through. Now listen, I don’t need to say the obvious about how a situation escalated into one of the worst experiences an airline could ever experience. I am not a huge airplane fan. I have been on a plane less than 10 times in my entire life so I am not an expert at this. But from what you hear planes get over booked every day. Airlines have to figure out who can be bumped or who they can offer flier miles to open up a seat to avoid an issue. Instead the airline went a different route and tried to bully their way to a solution. Not only was this a bad experience for the doctor who was dragged off the flight and the 100 other people watching this unfold in person but now what about the millions of people following through the media coverage. No matter what your past experience was with United you will now always remember what happened and think twice when booking your flight. Not only did this damage their shareholders but it could damage their future. We all like good things and as of this morning something wonderful happened for so many reasons. April the Giraffe had her baby. If you do not know what I am talking about peal that same rock off you and come out and see what is happening in the world. 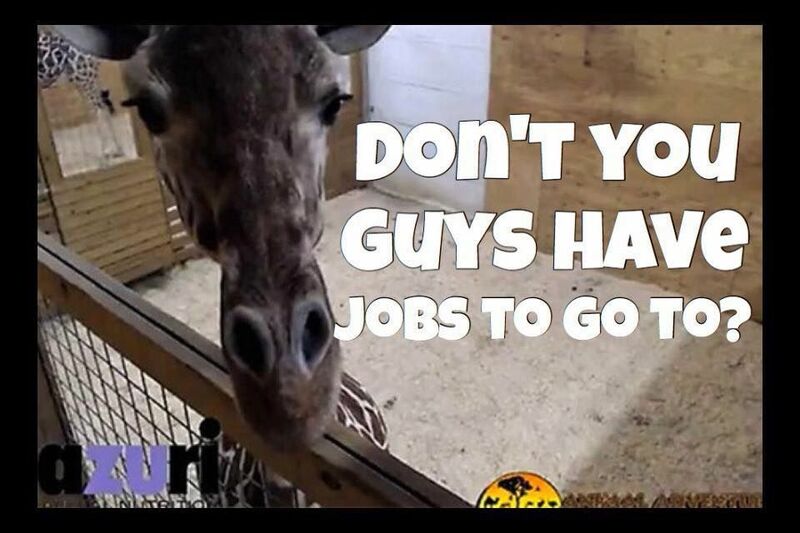 For the past few months a small zoo located near Binghamton, NY as made National News with their live feed of April the Giraffe who was awaiting to give birth. This all started with an idea of letting people watch a giraffe give birth on a webcam and turned into one of the best marketing business moves we will ever see. As a fellow business owner and as someone who knows the owner of this zoo personally, I couldn’t be happier for Jordan and his team at the Animal Adventure Park and encourage everyone to visit at some point. What Jordan did was he took a small idea and created an experience for not only Upstate New York to enjoy but for the entire country. 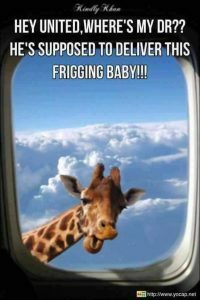 People went April the Giraffe crazy and he consistently delivered with his Facebook live updates, merchandise, and consistent information to keep everyone on their toes. This week we have experienced two great examples of Customer Experience. Both will last in people’s memories for a long time, both good and bad. This is why at Crowley Insurance we look to do the same. No longer do we focus on customer service as what separates us as an agency. It is just a given. The insurance industry is way too competitive to not focus on customer experience and I explain why here in another post about the competition. This was part of the driving factor behind developing what we call the Crowley Commitment, our promises to our clients. The backbone to how we deliver a great client experience. So remember the next time you are shopping for insurance, visiting a restaurant, flying an airline, or visiting a zoo, make sure the experience meets your expectations.